As I explained in the video, I made the felt ornaments last year. It really is a fun and easy project to do, and it would work well for any holiday since you can customize the colors and designs to fit. I’m tempted to create some felt Easter eggs to add to our Easter tree! Pinterest is a wonderful place to find ideas, and luckily I came across one that was perfect for my niece! 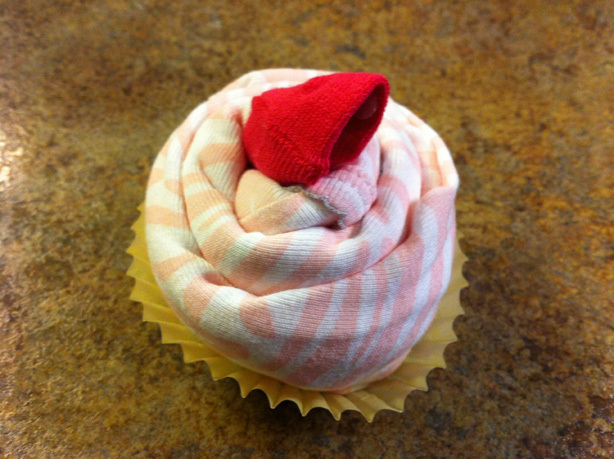 Cupcakes made of onesies! For full instructions on how to make them, here is a tutorial. 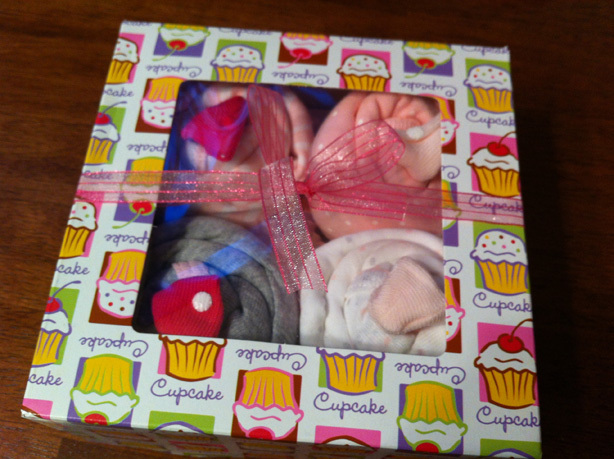 I only wish that this idea was around when all my friends were having baby showers! 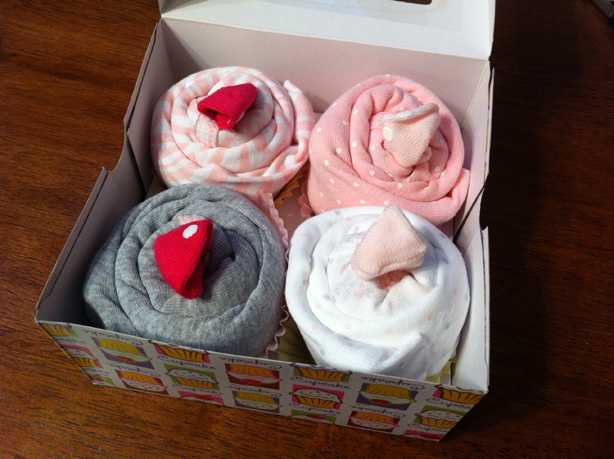 These will likely be my go-to gift idea though, they are just so cute. This is a fun and easy gift to make for those you are thankful for in your life. A turkey Thanksgiving basket! A simple basket, a wooden spoon, wiggly eyes, some craft paper on skewers, and a little tissue paper come together to make a fun basket that you can fill with all kinds of goodies! We made a basket recently for some of our favorite neighbors that no longer live next to us. The basket was filled with a pumpkin spice candle, apples, grapes, chocolate fruit dip, pumpkin muffins, and even a few chocolate turkeys! 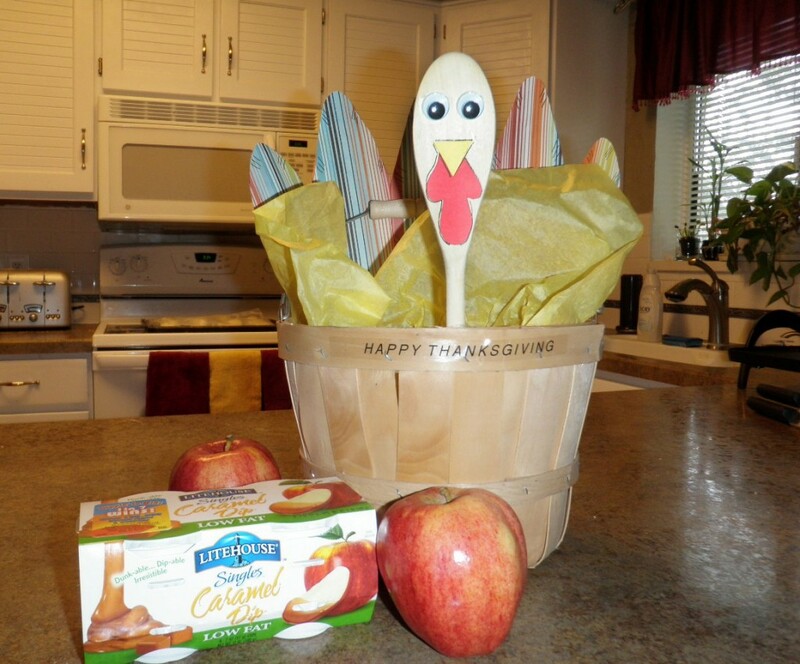 The turkey basket in the photo will be hanging out in our kitchen, with apples and caramel dip inside for a yummy fall treat. There are so many fun options for what can go inside, from fruit to baked goods, muffin mixes and cupcake liners, and you could even fill one with fall kitchen goods like hand towels and cookie cutters. It has been a very long time since I have done cross stitch, but this weekend that is all about to change! 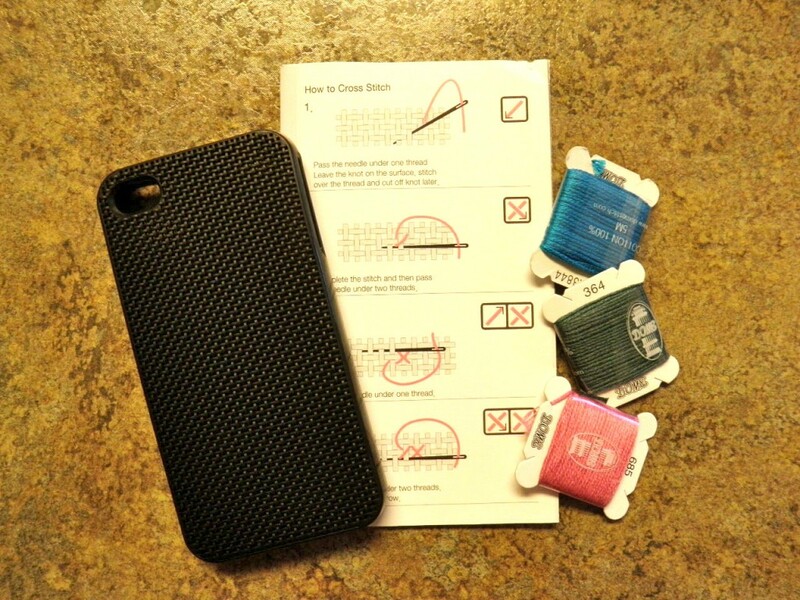 I recently got a DIY iPhone Case kit and I have been trying to figure out what I wanted to create on it. Honestly that has been the hardest part of all! In fact, I am still not 100% sure that I have decided, because there is a toss up between two ideas that I have. However, I am determined to get it done this weekend during the big snow storms we are supposed to be having. 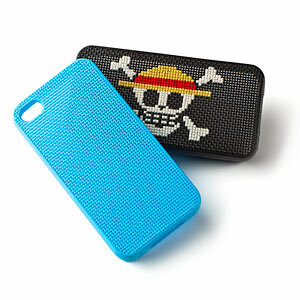 My iPhone is pretty dull and boring right now and needs a pick-me-up! Since I don’t yet have my finished case to show you (stay tuned), you can get an idea of what it looks like in the photo to the left. I think it’s going to be so much fun to make, and luckily cross stitch should be a lot like riding a bicycle. Right? I hope so. You can find the kit on ThinkGeek. It comes with the case, three spools of embroidery thread, a needle, and instructions. There are even patterns in the booklet that comes with the kit, but of course you will likely want to create your own pattern instead!